Last night in San Francisco about 300 people met at the WordPress headquarters, “Automattica,” to celebrate the 138th day of Dogecoin’s existence. Free beer, pizza, sodas of various types, and light snacks were available to all attendees provided by the sponsors who included Blackcoin, Multipool, and Expresscoin. Scheduled to begin at 4 pm, the show didn’t really start til about 4:30 as guests were still trickling in, (it was a Friday after all) so there was time to mingle with some of the Crypto luminaries who were in attendance. Among them were Charlie Lee (creator of Litecoin), Jackson Palmer (the creator of Dogecoin), YouTube sensation Mad Bitcoins, Andreas Antonopoulos, and Tina Hui co-creator of daily crypto update Follow the Coin. Obviously the purpose of Dogecon was to celebrate the rise of this unlikely upstart, but there was definitely some legitimate concern about the future of it. 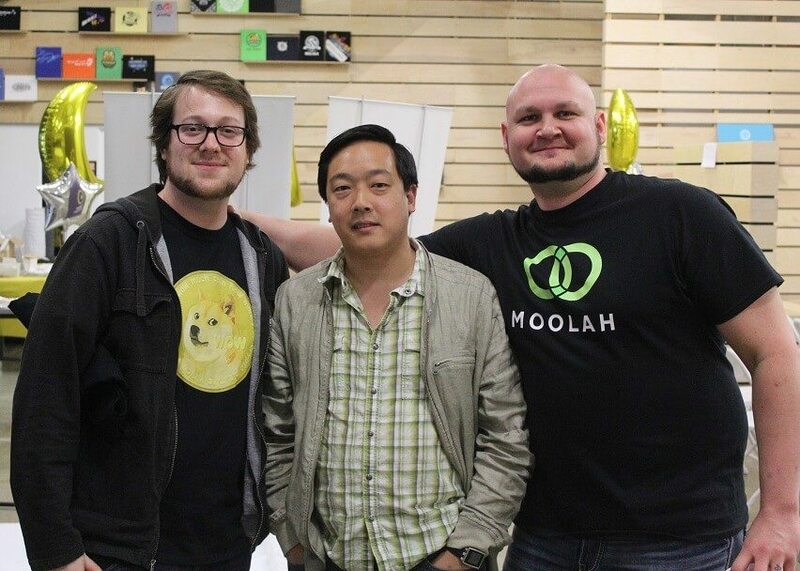 It was tentatively addressed by Charlie Lee during a panel discussion with Jackson Palmer with Lee openly doubting Dogecoin’s chances of survival without a rise in the value of doge. As Scrypt ASIC miners enter the field and the reward per block is halved, doge will become less profitable leading to a drop-off in hashing power due to Jackson Palmer’s insistence on keeping the value of doge low so that it serves as a tipping currency. It is these doubts that are preventing Coinbase from adding Dogecoin to their platform, in fact. While I understand Palmer’s position, I just don’t agree with it. If mining doge ceases to be profitable, a lot of miners will abandon it, and this will put a serious dent in the many charitable acts that Dogecoin has become known for. Probably the most important discussion, aside from that one, came from Andreas Antonopoulos. When he took the stage he announced that he wanted to discuss regulatory compliance, the Sarbanes-Oxley Act, and other scintillating topics. Instead he delivered a very articulate, and heartfelt, speech on the power of cryptocurrency to change lives in the Global South, those who are most in need of financial reform. With characteristic charm and earnestness he spoke about how financial transactions are a form of free expression, and skewered the lingering effects of colonialism by pointing out how some former British colonies still have Queen Elizabeth on their money. Crypto, he argues, allows them the freedom to choose a stable means of conducting business while freeing them of their past. It’s an especially compelling argument as Wikipedia confirms that in many places in Africa (and probably Latin America as well) barter is still the main form of commerce. Crypto transactions are just the next logical evolution of that. Antonopoulos slammed the financial industry for their blatant corruption and the fact that the government refuses to hold anyone accountable and praised the doge community for the aforementioned charitable contributions. It wasn’t just Dogecoin, however, as Antonopoulos recounted how 30 bitcoins (over $20,000) were raised in 6 hours to help Dorian Nakamoto, the man Newsweek claimed was cryptocurrency legend Satoshi Nakamoto. Another issue he raised was the problem of remittances. For those who are not aware, it is common for men and women (usually men) from the Philippines, Mexico, and India to go seek work abroad and send the bulk of it home to their families. An astonishing $514 billion US dollars are sent home by migrant workers, and the financial industry (Wells Fargo in particular) takes a sizeable chunk, to the tune of $75 billion, of it in service fees. Cryptocurrencies, especially Bitcoin, are a major threat to that highly lucrative business since crypto can be exchanged in minutes with miniscule fees. The speech was well-received by the audience who was largely attentive to the discussions, although there was a distinct buzz of conversation coming from the back of the room where the kitchen was set up. What I found curious about the whole affair was how little of a party atmosphere there really was. While a costume contest had been announced, there were only three contestants: one guy wearing a Speedo, a Doge astronaut, and a guy wearing a paper maché rocket. 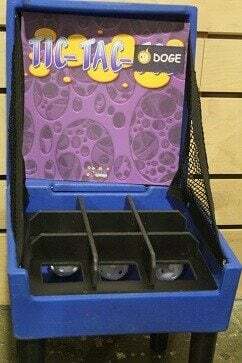 And the carnival games consisted of two home-made devices that did lend a sense of fun, but not quite as great as one might have expected. When the discussions were wrapped and the chairs were cleared to make a dance floor, very few people chose to dance to the House music that filled the small space. Instead we all seemed to cluster together into small groups, although since I was working I made sure to mingle. And while dogs of all breeds were welcome, only a few showed up. 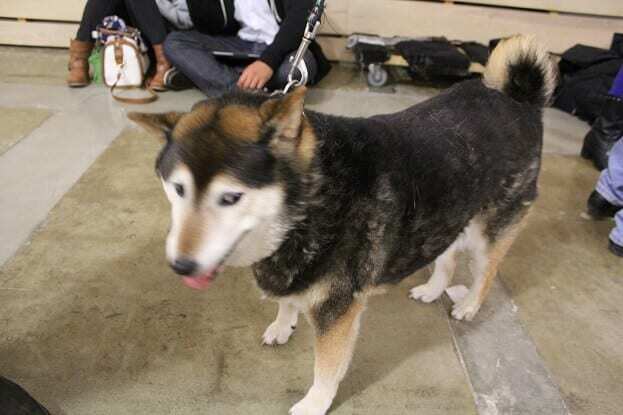 Even more surprising was that only one camera-shy Shiba Inu was in attendance. I had a train to catch so I decided to just cut out. Maybe it got better later, but I somehow doubt it. While there was a distinct female presence at the convention (probably encouraged by the strict zero-tolerance policy on harassment), very few people seemed comfortable enough to really let loose and party. Maybe next time they should have it on a Saturday.